Experience luxury comfort that combines 2 most popular mattress technologies: Dormeo Air Lux Plus. This high-end, luxury 5 zones mattress combines award-winning Octaspring foam springs and traditional pocket springs and provides sensational sleeping experience made only for most demanding customers. Club5 biedri ietaupa €599,90 šai precei. We all know that good sleep is priceless – and for some of us, only the best on the market is good enough. If your are looking for unimaginable comfort that will spoil you for the next 15 years look no further and choose Dormeo Air Lux Plus - a state of the art mattress you will find nowhere else. Dormeo Air Lux Plus is a cutting edge, technologically advanced mattress that combines the latest foam spring technology and pocket spring tradition, achieving high quality sleeping experience. With combining the best out of both worlds this mattress offers more than any other – a pure luxury you won’t be able to live without. Ultimate comfort due to 5 different types of springs of different softness assuring the best possible support you need combining comfort with healthy alignment of your body. An innovative air ventilation system included in the mattress prevents the onset of excess heat or humidity. This lays the foundation for an excellent night’s sleep, providing you with the essentials to help you wake up feeling rejuvenated and well-rested. Now let’s see more about this exquisite mattress! The more layers, the more comfort, right? With Dormeo Air Lux Plus we’ve decided to put it all in. 8 layers of different materials in 5 zones create an amazing core, made specifically for the restoration and recovery of fatigued muscles with contoured alignment for perfect posture and lumbar support, as well as delivering energy back to your body while you sleep. 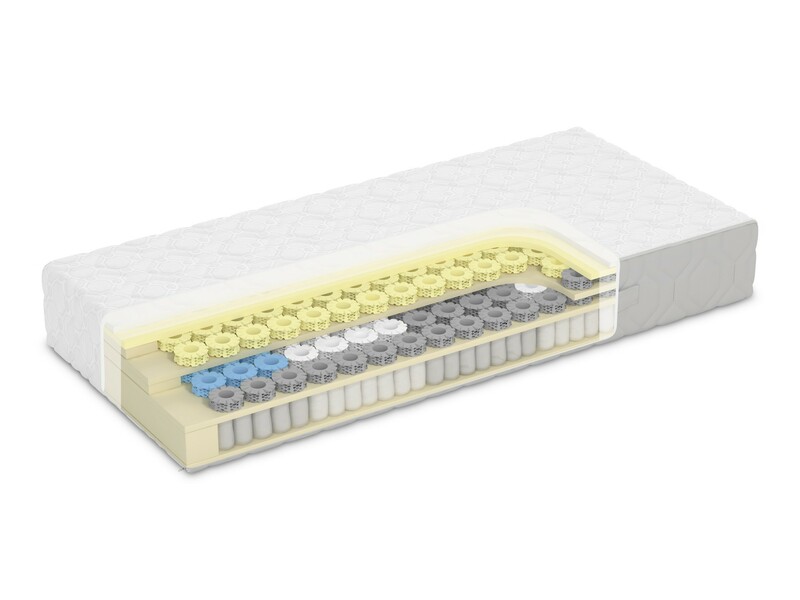 A perfect composition of Ecoccel foam, memory foam, foam springs an pocket springs is ergonomically designed to adapt to your body in 5 customized zones – so all you have to do is lay down and feel how pleasantly your body cradles into the surface. So if you feel like sleeping on a softer bed one day just turn the mattress around and you can enjoy layer of memory foam - or other way around. When sleeping in couples, people find hard to find a perfect mattress especially if one desires a firmer and other a softer mattress. With Dormeo Air Lux Plus that’s not an issue anymore. 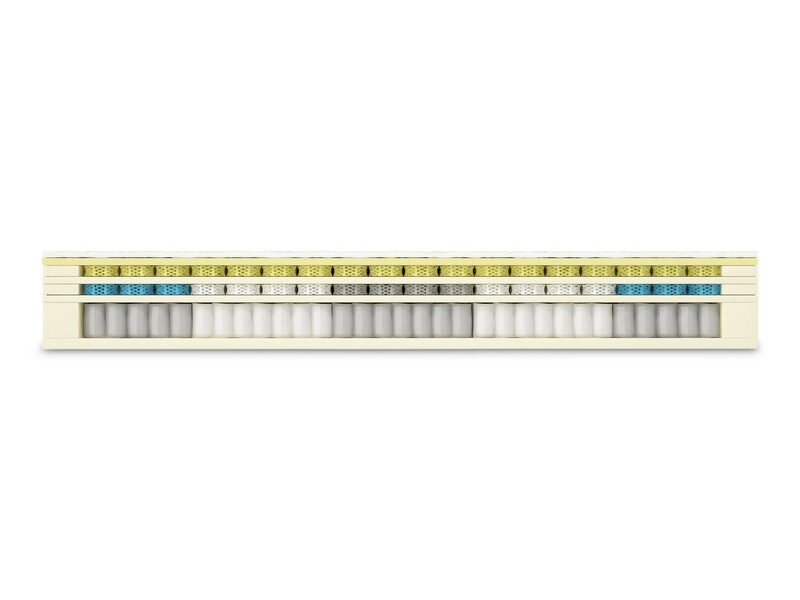 This mattresshas single and double core (2 separate cores in double sized mattresses from 160cm and up) both reversible. You can turn it around according to your sleeping preferences: pink side ishard and blue side is soft. When you share a bed it’s very common that your partners’ or spouses movement is interrupting your sleep. With supreme core of Air Lux Plus you will have your own core - Dormeo Air Lux mattress offers double core in double sized mattresses from 160 cm and up so you will sleep tight and sound, without being waken up. Even if you share a mattress with 1 core - mattress doesn't transfer motion from one side of the bed to another as springs can move independently along with your body. 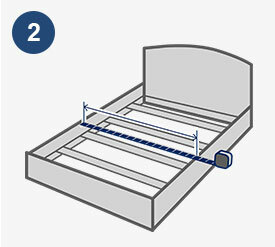 With additional layer of springs, the total height of the mattress is 27 cm. This makes your bed higher so you can sit down and get up much easier. And this kind of bed height is perfect for elderly. Unique spring ventilation system provides constant air flow - the natural honeycomb design allows air to pass through freely, so the body heat and moisture are wicked away, keeping your bed cool, dry and comfortable. Besides being extremely ventilated, this mattress is enriched with so called Adaptive Treatment – a treatment that helps you sleep in ideal temperature conditions. The treatment enables natural thermoregulation and cools you down if you are starting to sweat during sleep – and other way around. Layer of memory foam makes sure your first contact with the mattress is soft and pleasant. Soft, thermo sensitive foam memorizes the shape of your body, adjusts perfectly to your contours and gives you the feeling of weightlessness. Like that feeling of weightlessness? With another layer of memory foam on the softer part of the mattress you’ll get nothing but addictive comfort. This is the innovation that made the world stare in awe. And brought awards. A spring made of memory foam contours to your body, encourages your body to find a perfect sleeping positions and gives you the feeling of weightlessness. Read more below. Firm yet comfortable Ecocell foam makes sure your body lays on a reliable support. Ecocell is highly elastic foam that`s specially engineered to provide firm support and excellent sleeping comfort. Its 3-dimensional cellular structure enables efficient air circulation, thereby preventing sweating and excess heat. And because Ecocell® is permanently elastic, it bounces back to retain original shape even after prolonged use. Elastic Ecocell® provides your body with excellent support and ensures correct positioning for your spine. For more info read below. Next level is composed of springs of various levels of firmness and fitted at different sections of the mattress in order to match the needs of different sections of your body. Dormeo AirLux mattress has 3 types of Ecocell springs placed inside that differ in firmness: soft, medium and firm. Firm grey are in the third comfort zone and offer firmer support to your pelvic area. Second and fourth zones are composed of medium firm white springs which offer proper support in shoulder, lumbar and leg area. Outer 2 zones consist of soft blue springs, that make you comfortable around feet and head. Another layer of Ecocell to make a barrier between the layers. Traditional pocket springs (metal springs wrapped in textile) that have been known for decades offer reliable support, minimizing of partner disturbance, contouring to your unique body shape, while also providing your spine with sufficient support. 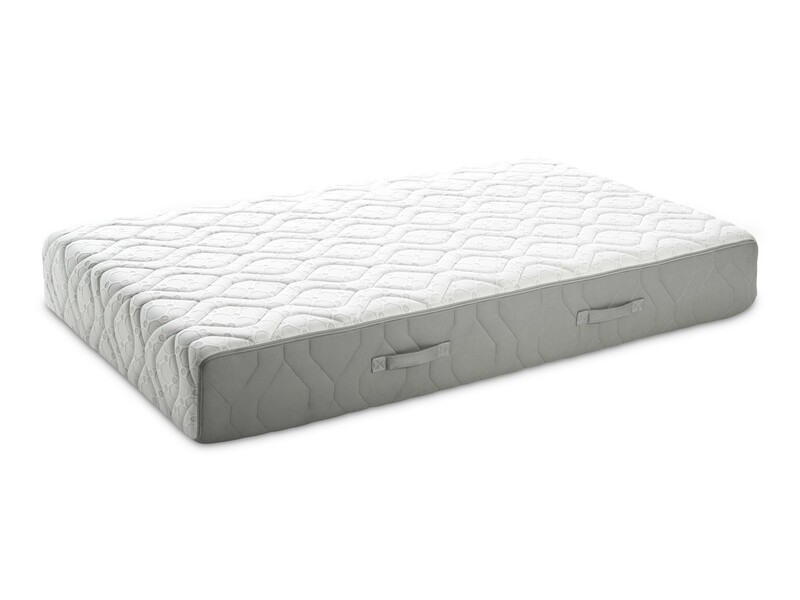 Layer of foam protects pocket springs and makes sure your body gets enough support if you decide to sleep on firmer, bottom side of the mattress. Removable, washable cover with Air Mesh enables air circulation and prevents building of humidity inside the mattress. The result provides your body with comfortable, customized support no matter what pressure of weight is applied to the mattress or how often you toss and turn at night. Octaspring foam spring represents the latest innovation in mattress production. Their unique design with 8 supportive columns provides 3D adaptability both in shape and functionality. Each spring dynamically conforms to the contours and movements of your body in all sleeping positions - side, back or stomach. Air Lux Plus mattress with its ergonomic design and features ensures the desired comfort adapting to the body and avoiding harmful pressure on muscles and skin so you’ll sleep calmly. Less tossing and turning means restoration and recovery of fatigued muscles and a better rested mind and body in the morning. Ecocell® is a top quality comfortable new generation foam, designed for excellent sleeping comfort. It is permanently elastic with a three-dimensional cellular structure, enabling efficient air circulation and offering excellent adaptability points. It is firm foam that constantly retains its shape, no matter what pressure is applied to it. The elastic nature of Ecocell® allows it to conform to the unique contours of your body. 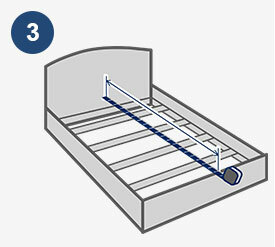 To best prolong the life of your mattress, fabric cover is removable and machine washable at 40°C. 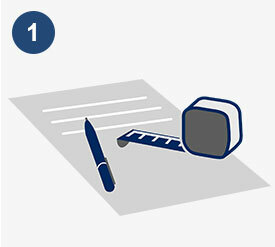 We recommend washing separately in a washing machine with a 5k g or larger drum capacity.